Facebook, the popular social networking site that 99% of the entire world population is a member of (Okay, I over exaggerated, but still…), has launched Facebook Ads. They made the announcement yesterday at Ad:Tech in New York. 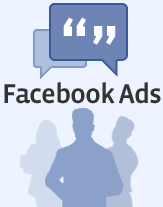 Ads targeted at specific demographics using Facebook members’ profile data. Deep analytics and ad optimization data shown to advertisers to give precise information on who is clicking on the ads. Ad widgets that advertisers can place on their own sites to have Facebook users promote their product on their behalf to their entire network. Of course with any new system, especially on a site as large as Facebook, it won’t be long before internet marketers look for ways to benefit and make money from it. My only concern is that the site will soon look like another MySpace; a corporate billboard cluttered with ads who focuses on their revenue first and its main purpose of social networking second. Read Facebook’s blog for more. This has been brewing for a long time. Facebook is a giant waste of time and now it is, like you say, going to turn into myspace with junk ads all over the place. Virb is so much better!